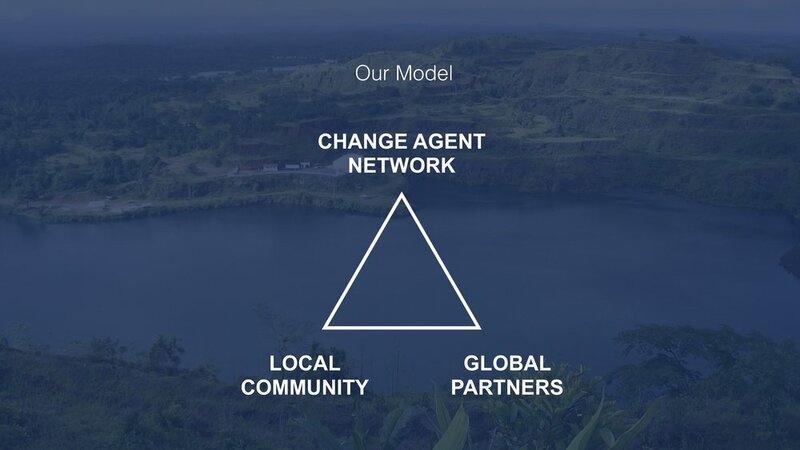 Our Mission — Change Agent Network, Inc.
Change Agent Network is a Christ-centered registered 501 c (3) nonprofit organization which goal is to transform the entire nation of Liberia through Education, Mentorship, Sustainable Development and the Hope of the Gospel. To connect underserved Liberian Communities with Global Partners to launch locally sustainable schools to break the cycle of poverty through education in Liberia. Illiteracy and Poverty in Liberia. Liberia is a country in West Africa which was founded in the 1800s, established, colonized, and controlled by citizens of the United States and ex-Caribbean slaves as a colony for former African American slaves and their free black descendants. The constitution and system of government of Liberia were modeled on that of the United States. Liberia's first constitution was written by Professor Simeon Greenleaf of Harvard Law School in 1847. Liberia’s population is 4.5 million which is about the size of the state of Ohio. Fewer than 40% of children complete primary education. Liberia has been majorly affected by the recent civil wars (1989-1996), government mismanagement, and the recent Ebola breakout in 2014. Click here to learn more history of Liberia. To connect with Liberians and global partners to launch locally sustainable schools to break the cycle of poverty through education in Liberia. To raise and mentor selfless, patriotic Christian Leaders who are critical thinkers with the life skills to transform Liberia. The school is self-sustained through our daily low cost school fees payment plan. This plan uses a system in which a card is issued to every student and parent to track semester educational cost broken down into daily cost based upon economic prospects of the school environment . The vast majority of parents and students live on a day-to-day basis, this gives them a simplified, easy and durable daily flat rate payment plan. The payment card creates 100% transparency and accountability between the school administration, parents, guardians and students. Our Plan to Transform Liberia Through Education by 2025. STRONG WORK ETHIC: Encourage and reward people living in poverty who are able and are willing to work very hard to break the back of poverty. We strongly believe that the medicine for poverty is hard work. EMPOWERMENT: Giving the struggling Liberian people the opportunity to solve their own problems, help others become useful and productive people. Each person to take initiatives and make decisions to improve services and performance, determine their own destiny and the future of their children and country. SELF- SUFFICIENCY: To ultimately use local resources to sustain our programs for underserved people in Liberia by providing and putting into place Agricultural businesses, goods and services to generate enough funds to cover reoccurring operating cost and maintenance of infrastructures. SELFLESSNESS: To humbly serve the needy above self - interest and ambitions. EXCELLENCE: To serve the less-privileged with excellence in everything we do. COMMUNITY: To establish a culture of shared values, purpose, mission and vision. Eric Willise Wowoh’s new book, Return Of A Refugee, shows firsthand how trauma and rejection turns a young African boy into a man committed to sacrificing his everything to transform the lives of others in a hurting world. This is the author’s emotional true-life story. It shows how he turned his tears, pains and struggles into a pathway of positive change, hope and opportunity in part for those who hurt and almost kill him. In spite of the fact that he had lived his entire life going through unimaginable atrocities at the hands of fellow human beings, he genuinely still believes in humanity, goodwill and God.